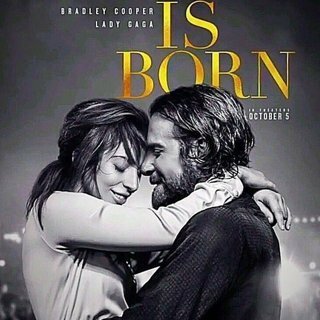 Musician Jackson Maine (Bradley Cooper) discovers and falls in love with a singer, Ally (Lady Gaga), he meets at a local bar, after one of his concerts. As she’s ready to give up on her dreams, Jackson gives her her first chance to be in the spotlight. When Ally’s career takes off, the personal side of their relationship starts to fall apart and Jackson must battle with his own personal demons. When a films being remade for the third time, you might wonder… Why??? Thanks to Cooper’s version, a brand new generation of moviegoers will get to experience what is one of the best movies this year. Cooper and Gaga have such a great on screen chemistry that really comes across. And the music they sing, which is a very big part of this film, was so on point. Lyrically, if you pay attention, they’re telling you their story. Where they’ve been, individually, and where they’re going, together. It’s a love story that will make you laugh and cry. In addition, you cannot forget its outstanding supporting cast… Andrew Dice Clay, Dave Chappelle and Sam Elliot… All three shine in their small, but important, moments. With it being the beginning of award season, I think, A Star Is Born will or should earn itself some nominations for both it’s lead actors, as well as a directors nod for Cooper and as Best Picture.